Season turkey burgers with salt, paprika and white pepper; grill to 165 degrees. Spread one focaccia evenly with Mango Pineapple Mayonnaise (sub recipe below). 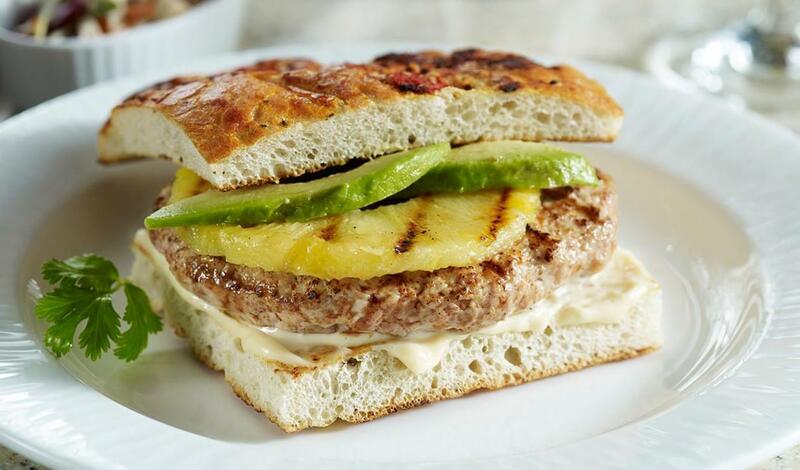 On bottom of focaccia, layer one turkey burger, one pineapple ring and 2 slices avocado.